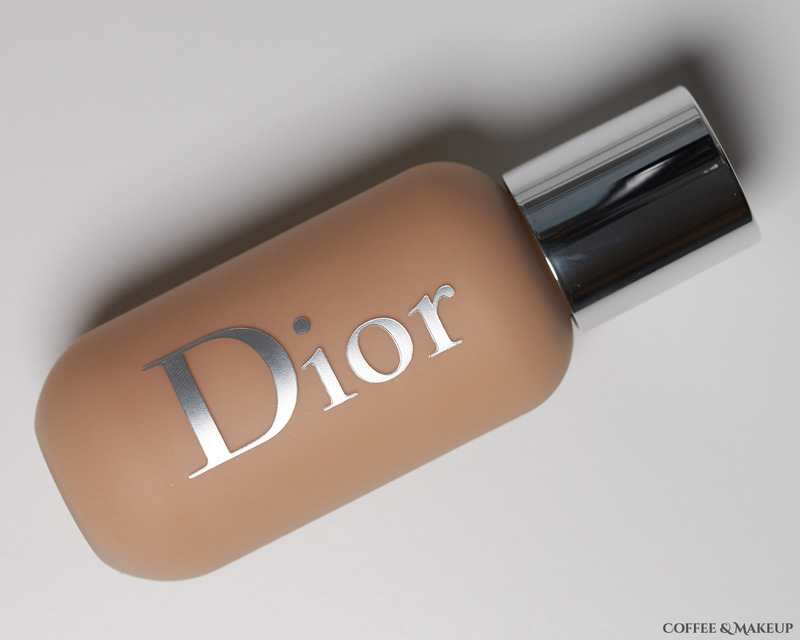 Dior Backstage Face & Body Foundation has a number of highly sought after claims: waterproof, resistant to humidity and sweat, lightweight texture, and ultra-buildable coverage that looks natural both in real life and on camera. Dior suggests applying up to 3 layers to achieve the fullest coverage. It comes in 40 shades, contains 1.6 oz and retails for $40. It is available to purchase from Dior and Sephora. After wearing this foundation several times I have found that it does need to be touched up after about 5-6 hours even if I all I’m doing is sitting at a desk. It will begin to look shiny at that point but it doesn’t feel greasy or heavy. It survives blotting without transferring and reapplying powder without becoming cakey. It continues for perform well until I remove it at the end of the day. The shade I have is 1N. For some reason this foundation seems to lighten up in tone once I begin blending it into the skin. I can’t recall ever seeing another foundation behave that way. In the bottle it looks like it’s WAY too dark and orange for me. I actually almost returned it but decided to try it out anyway. I’m glad I did because this shade works well for most of my face, except for my jawline and neck which are a bit lighter. It has a matte finish and softens the look of pores and texture. Using one layer, I get light coverage – it evens skin tone but freckles still show through. For the most part it sits nicely on the skin and looks very natural. One of my cheeks has some rather large pores and this pooled in them a little but I was easily able to blend it out with a damp sponge. This is typically a problem for me with any foundation. Applying a second layer affected the finish so that it looked less skin-like and natural. A natural finish is one of my top priorities, so personally I wouldn’t layer it when wearing this over bare skin. Just out of curiosity, I tried applying this over the Dior One Essential City Defense SPF 50, which is one of my go-to sunscreens, and it actually looked really nice on top. The SPF acted as a nice smoothing primer and gave the foundation an even more natural appearance. It didn’t really look like I was wearing foundation. I also found that I was able to build up the coverage of the foundation a little more that way without sacrificing the natural finish. Applying it this way does seem to reduce the longevity of the product a little and I need to touch up more often. To me it’s worth it. I have found that Tarte Shape Tape does not get along with this foundation. Applying the concealer over the foundation causes it to gather in pores and emphasize texture on the skin which isn’t really an issue if I use either one by themselves. Ulta Full Coverage Liquid Concealer and It Cosmetics Bye Bye Under Eye Concealer worked well though. So far the best method of application I have found is to spread it out over my skin with my fingers and then do a final blend with a damp sponge. This gives me the most natural look. The one thing that is a downside is the packaging. If I shake up the bottle as they recommend, it oozes out and makes a mess when I go to apply it. I would suggest just shaking it up from time to time at night. That way it can settle back down into the bottle overnight to avoid the mess. Also, storing it upright rather than on its side can help prevent the product from leaking out of the top when you open it.